This documentary about the role of Native Americans in contemporary music history features some of the greatest music stars of our time. And the film exposes a critical missing chapter, revealing how indigenous musicians helped shape the soundtracks of our lives and, through their contributions, influenced popular culture. 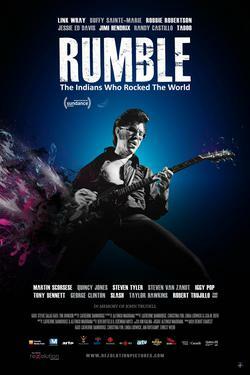 The film features musical icons Charley Patton, Mildred Bailey, Link Wray, Jimi Hendrix, Jesse Ed Davis, Buffy Sainte-Marie, Robbie Robertson, Randy Castillo and others.